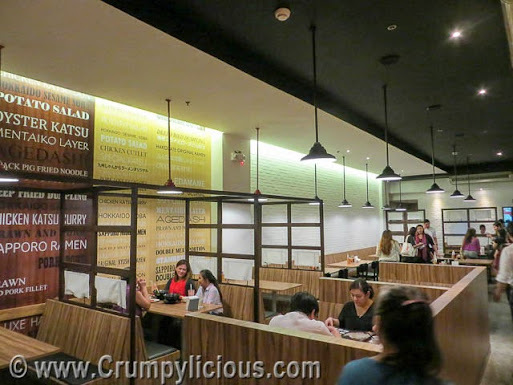 A few weeks ago, I was invited by Yummy Team (Yummy Magazine and Yummy.ph) for the Trinoma Food Crawl. 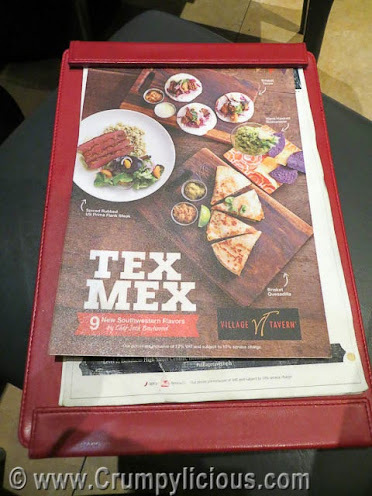 We were to sample 2 dishes from 5 restaurants located at each floor of Trinoma Mall. 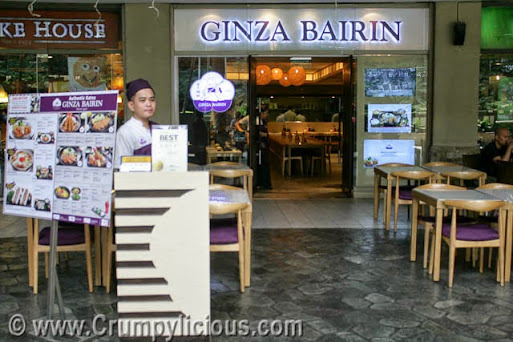 Our first stop started at the ground level for Trinoma Garden with Ginza Bairin. Before we sample at every restaurant, we were given a short introduction. 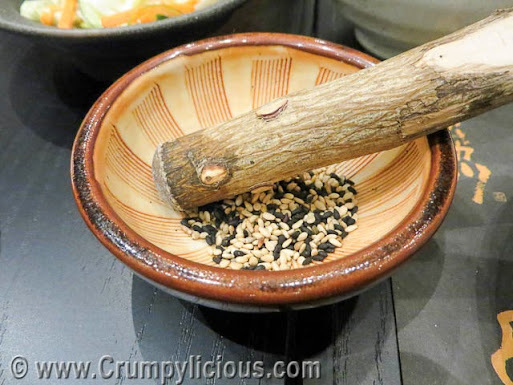 I got to learn that they don't do the sesame crushing in Japan where Ginza Bairin originated. We were served two sets. 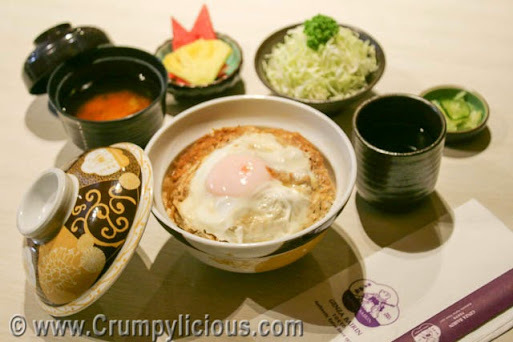 The first one is the classic Special Katsudon Set which I've tried during my visit at Ginza Bairin at UP Town Center. from the perfect crunchy breading to the lean Rosu meat with mallow softness. You can choose your curry sauce to be mild or spicy. If you want to play it safe, choose the spicy because they have chili powder on the table anyway. 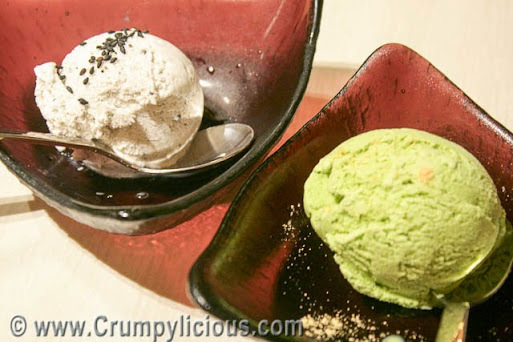 For dessert, we had their Black Sesame Ice Cream and Green Tea Ice Cream. I really can't choose between the two as both are very delicious! Hanamaruken Ramen is a franchise from Osaka Japan. This can only be found at the second floor of Trinoma Gardens. 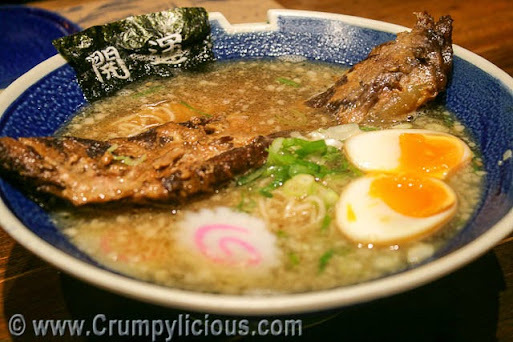 Of course, the Signature Happiness Ramen is a must-order in every visit! It's my first time to try the Drunk Man Rice Bowl. It's a rice bowl topped with kakuni or fatty pork cubes, double fried eggs, red chili and green onions. It was a glorious bowlful of flavorful fats that is mashed well with the fieriness of the red chillis. The Iced Green Tea is a refreshing, light and fragrant (not flowery) drink which excellently resets the palette. I'll definitely order this on every visit from now on. Mango Tree Bistro is more casual and affordable than the Mango Tree I've tried at BHS Central but their Thai dishes are also as authentic. 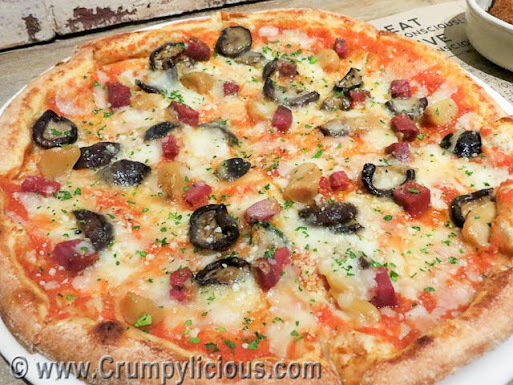 It is conveniently found on the third floor of Trinoma Mall. 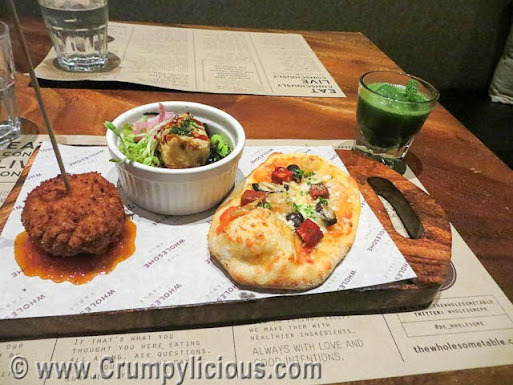 The serving is great and the food is affordable. I actually just found out that there's a Wee Nam Kee on the fourth floor of Trinoma Mall. I've loved the Hainanese Chicken Curry the first time. It's so good that I don't think that my sentiments for it will ever waver. The Salted Egg Chinese Style Fried Chicken is another dish I'd want to have as much as I can. it so comforting and satisfying to munch on. Located on the outdoor area of the fifth floor of Trinoma Mall is Pearl River Cafe. It's my first time to try it so I'm quite estatic. It serves authentic Chinese cuisine. 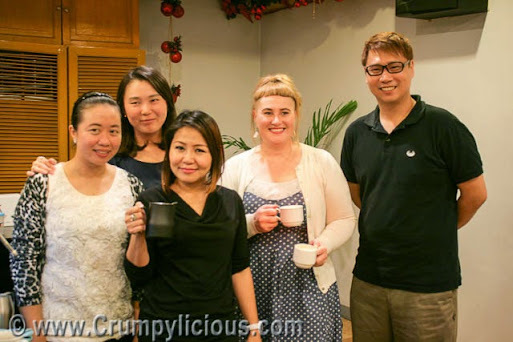 We tried a couple of their specially made dimsum. I'm quite impress with the quality and even more thrilled that they are offered at an affordable pricing. So that concludes our Trinoma Food Crawl. But, believe me there are so many more I have yet to try there like Katsu Sora for one. With more and more coffee shops even more specialized ones like third wave coffee shops, it's about time that the Philippines should emphasize on barista skills. In partnership with the Association of Filipino Baristas Inc. (AFBI), World Coffee Events and Goldbell Philippines Corporation (Dalla Corte Philippines) officially organizes the inaugural Philippine National Latte Art Championship 2014. The Preliminary Rounds will take place on November 27 to 28 at Aloha Hotel in Roxas Boulevard while the Championship Round will be held on November 29 in SM City BF-Paranaque. During my conversation with the judges, I learned that the success of a barista is based more on passion, skill and experience rather than trainings attended and certifications. They are no schools or formal trainings required to be one especially in crafting latte art which requires a lot of creativity. For the Preliminary Rounds, competitors will perform at the Bar and Stage Areas of the competition one at a time. They have to produce a single creative latte pattern at the Bar Area and the move to the Stage Area to create two identical free-pour lattes and two identical designer lattes. The top six highest scorers from the Preliminary Rounds will advance to the Championship Round. They will then have to make two identical free pour espresso macchiato, two free pour identical latte and two identical designer lattes. Overall performance will be judged. The grand winner will represent the Philippines to the 2015 World Latte Art Championship in Sweden on June 15 to June 18, 2015. He will also get to train in Milan in an event organized by Dalla Corte. The event could not be made possible without the following sponsors: Kefseft Inc (Milk Sponsor), Citicup Corporation (Silver Sponsor), Equilibrium Intertrade Corp. (Bronze Sponsor), Dalla Corte (Espresso Machine and Grinder Sponsor), Caffe Benne (Official Espresso Sponsor) and Pulycaff (Cleaning Product Sponsor). Check out www.philippinenationallatteartchampionship.com for more informoation. 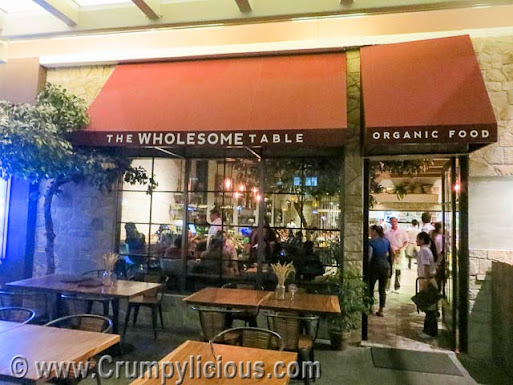 Bonifacio High Street is one of our favorite places to dine. 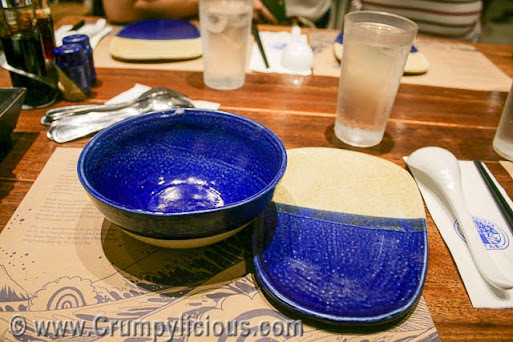 We've got a whole loads of food adventures at Bonifacio Global City including paying to join food tours like the BGC Eats Food Tour 2013 and twice for the BGC Food Tour 2014. But, believe me there are still so many food establishments there that we have yet to try. So, when we were invited to the a food bloggers event called "Bonifacio High Street Food Crawl" organized by Bonifacio High Street and the Mercato Centrale team of RJ Ledesma and Anton Diaz of Our Awesome Planet, we knew we couldn't miss such an amazing invite. Starting things right with something healthy, our first stop is at The Wholesome Table. It is a concept by health advocate Bianca Elizalde. According to their statement at a board plastered on its wall, they are committed to serving fresh, natural and real so all their produce comes from organic sources except fo their cheese, meats used are grass-fed, poultry and eggs are free-range, products are sourced locally whenever possible and seafood are wild-caught. I especially like the part that states that they don't use high-fructose corn syrup or any artificial stuff and try to avoid using shortening and partially hydrogenated fats (these are converted into trans-fats when heated!). The Organic Mushroom Fritters are tasty button mushrooms and melted mozzarella wrapped in their special Italian sausage that are breaded and deep-fried. It is served with the tangy fresh cherry tomato sauce. The Enlightenment Bowl is a hefty bowlful of nori, carrots, edamame, shitake mushrooms, lettuce, picked onion, avocado, pea sprouts, fried tofu in ginger dressing laid on atop the brown rice. shitake mushrooms, roasted garlic, mozarella, grana panado and tomato sauce. If you like alcohol, the Wholesome Mojito is a must try! It's the best green drink ever! 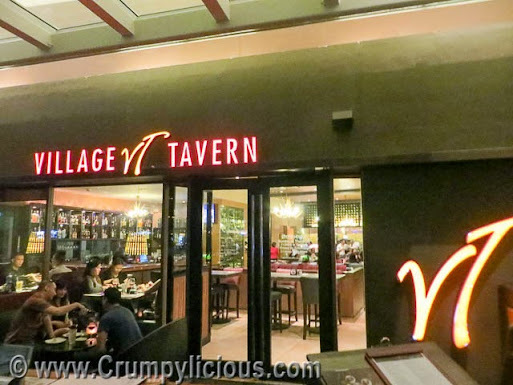 After our wholesome first stop, we skipped to its next door neighbor Village Tavern which we're visiting for the nth time. The cool thing about Village Tavern is that they always have new specials to try for returning diners like us. The Spiced Rubbed US Prime Flank Steak is so good!!! Another familiar place is 'Cue Modern Barbecue. 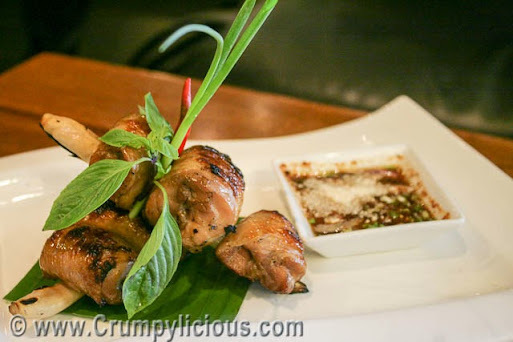 See how much I've raved about 'Cue here. The Campfire-Style Skillet of Queso Fundido is a simple but irresistible skillet filled with melted white cheddar, chopped chorizo and red tomatoes topped with cilantro and served with flour tortillas. You'll forget about the guilt as you fall into bliss with the Hot Pork Belly Tips. 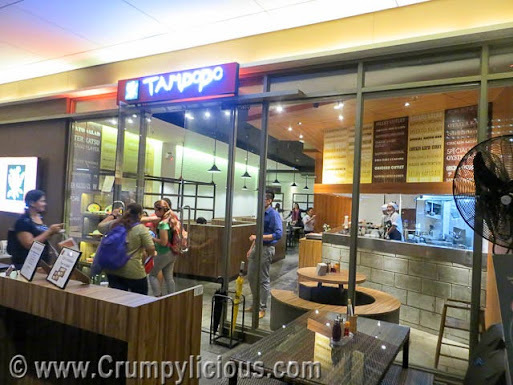 Tampopo offers the two most crazed Japanese dishes: Tonkatsu and Ramen. It has modern Japanese booths for a unique dining experience. Everything is so good so I'll definitely be back to try more of their dishes! 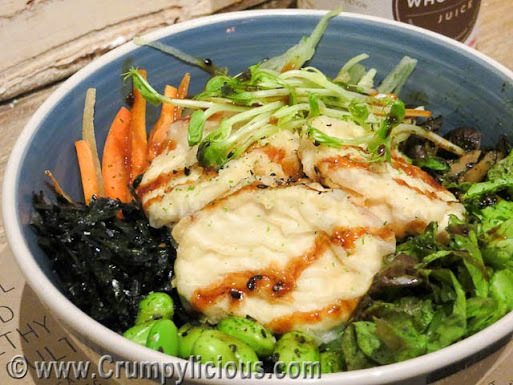 Check out our previous review of Kimukatsu here. 7 flavors of juicy and 25-layered katsu! and addictive and fragrant Kohikiri Rice. 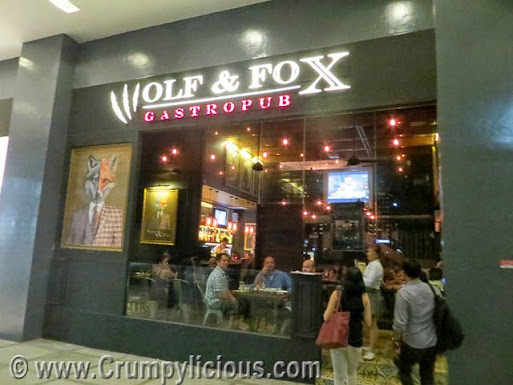 Named after the fictional characters: Mr. Wolf (sophisticated and traditional) and Mr. Fox (quirky and creative) is Wolf & Fox Gastropub, the latest addition to the Sumo Sam group of restaurants. The Bangers & Mash is their home made (made from scratch) cumberland sausage served with mashed potatoes. Their take on the classic Fish and Chips using sole fish. So here ends our Bonifacio High Street Food Crawl. But, watch out for more as there are many more to try and discover at Bonifacio High Street!